WC Fulfillment Review - Is It Legit Or A Scam? You are probably tired of dropshipping the same items everybody else is selling and looking for unique items to sell in order to avoid the competition. Join me in this WC Fulfillment Review in order to see if this company is a legit place to outsource Print On Demand products or not. But before we go into the details of this app, remember that selling POD products has its pros such as: selling unique items, ability to target wider interests, avoiding the competition by having your own custom designed products, dealing with fewer suppliers who are usually more reliable, faster shipping times in some cases, …etc. But also it has its disadvantages such as: higher prices from the supplier, higher shipping costs in some cases, and, although you can keep creating new designs to the items you sell, you are finally limited with the number of items (shirts, tank tops, skirts, wallets, phone cases, …etc.) that you can sell, while on AliExpress for example, there are many more products that you can sell. And also, you need the time to do the designs yourself or the budget to hire someone professional to them for you. Price: Free to install the App. Prices apply to the products differently. Also, shipping costs apply (Free Express Shipping on some items). Details below. WC Fulfillment is one of the best Print On Demand Shopify Apps that allows you to list their products on your own Shopify store with your own unique designs and sell them to your customers. After you receive an order and get paid, you pay WC Fulfillment and tell them to send the product to your customer without you touching anything. WC Fulfillment can only be integrated with Shopify currently. No integration with other platforms is available at the time being. WC Fulfillment also provides you with lots of resources, training videos, free designs, free photo mockups, paid video mockups, free E-mail scripts, a high converting Landing Page that is built with ClickFunnels, and many other stuff that can help you in establishing your business and selling your products and will save you time and money as you will see below. 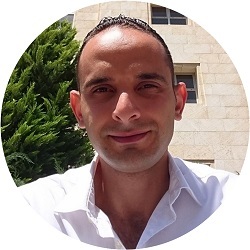 Who Is WC Fulfillment Founder? Nate Andreshak is the man behind the WC Fulfillment company. Before creating WC Fulfillment, Nate had already been successful dropshipping AliExpress items with his store. However, as he noticed that many of AliExpress suppliers are unreliable, many products are of low quality and the competition is high as many dropshippers are selling the same items, he decided to sell print on demand products with unique designs and better suppliers and higher product quality. After succeeding in selling POD products, Nate started this company and provided this free POD App for dropshippers in order to sell unique items. Following video is from Nate’s YouTube channel where he teaches everything he learned during his journey from finding design ideas, to hiring designers, testing designs and finding winners, setting up FB campaigns the right way with all the tricks that others don’t tell you in their overpriced courses that cost $997 & more. Pure knowledge for free. One of the best POD companies that have Shopify Apps, they have the rating of 4.8 stars on Shopify app store from over than 270 reviews. Although it is relatively new, but they have made it to the TOP 5 POD fulfillment Apps on the App Store in less than a year. A good range of unique products that you don’t find at other popular POD apps. New products are added to the app continuously. Low prices for unique items, which allows you to sell at high prices and enjoy higher margins. Low shipping rates, Express shipping is available for many items at relatively low rates, and FREE Express Shipping for some items! And many items are even fulfilled from the US. The founder of this company was successful himself dropshipping both, AliExpress and POD products, which means that he already knows what is missing in the market and where the pain points are. Free designs for different products in many niches. Other services are available, like getting Video Mockups for some products done for you at low cost. Also, some videos are available for some products for free! Lots of resources that you can benefit from, such as: Full training on Facebook ads, YouTube channel with lots of useful videos that provide value more than many paid courses, targeting data for some niches, …etc. Check the resources section below. The company is relatively new, however, remember that they made it to the top 5 POD apps in less than a year. Smaller range of products, however, most of their products are unique and are difficult to find at other popular POD apps. Also, new products are being added continuously. The support on their website is only available through E-mail in addition to the live chat. No Phone number is available to contact them. WC Fulfillment Shopify POD App is free to install and use. You only pay for the products and shipping after a customer buys from your store and pays you. You then pay WC Fulfillment and the customer address will be automatically forwarded to them and they will fulfill and ship the ordered items on your behalf. Shipping rates at WC Fulfillment are low when compared to many of the main POD companies. And even the Express Shipping is relatively cheap. Even more, for some items such as the Hooded Blankets, the worldwide Express Shipping is FREE. I don’t think many other POD companies do this, if any. Some of the reviews on the app store complain about the normal shipping speed, but that’s the case with most of other apps. At least the shipping prices here are much lower than some of the big companies that also take long time to deliver the ordered items. WC Fulfillment provide many resources that can help you succeed with your print on demand business. 1 – Free Product Mockups & Print File Templates. You can add your design to different mockup files for the same product and get different images that you can use on your store or in your advertising campaigns. Use the video templates and add your design to them in order to use them in your ads for a better engagement and reach. Or you can request the 3D video service for a low price. Video lessons on how to create your store from the start, adding the theme, installing the POD app, adding products, creating FB Ad account and setting up campaigns, scaling, …etc. A complete course on how to use Facebook ads the right way and avoid the expensive mistakes that others fail because of them. This YouTube channel provides more value about this business than some courses that are being sold at $997 and more. Nate is literally teaching everything he knows from finding design ideas, to hiring professional designers at a low cost, to setting up FB campaigns to test the designs, finding winners and up-scaling campaigns. This is a step-by-step guide that shows you how to setup a high converting E-Commerce Landing Page (provided for FREE by Nate) and setup a complete funnel with upsells in order to increase the average order value and maximize profits. These checklists will help you create a great store that shows trust and provides your customers with a great user experience, and as a result, increase your sales and profit. These ready scripts will help you in answering the customers’s different inquiries such as: long time delivery, damaged or wrong item received, lost packages, …etc. These are targeting details that you can use for FB ad campaigns for more than 25 niches that Nate himself was successful selling custom products to them. Who else could provide you with these?! These are designs that Nate used himself and was profitable with selling products with them. You can use them for free. Also, free videos are available for some of these designs that you can use for your ads. 10 Different ways that you can use to find design ideas in different niches. This group is not a replacement for their customer support, it’s a place where different users of WC Fulfillment can meet and exchange ideas and helpful information and they can interact with Nate directly. In addition to fulfilling and shipping orders, WC Fulfillment can provide you with services such as creating product videos for you in order to use them in your marketing campaigns. The cost is around $9.99 per video. This will save you time and effort and help you focus more on the marketing side of your business. This company provides you with support through E-mail by submitting requests through their website mainly. But they also have a live chat in order to answer your general questions. This is, of course, in addition to their Facebook Group, Nate’s YouTube channels, and the different resources mentioned in the resources section above. There are some of the negative reviews on the Shopify App Store about the support, but these are very few and the positive reviews are much more. The overall rating on the Shopify Store is 4.8 stars from 270+ reviews, which is outstanding. WC Fulfillment can be used to sell on POD products on your Shopify store through installing their app on your store. Create a free account at wcfulfillment.com. Click here to create it now! After you signup, log in to your store from a different tab. Visit the App on the Shopify App Store by clicking here, click on the “Add App” button in order to connect WC Fulfillment to your Shopify Store. After installing the app, you can go to the app from the App section in the left menu in your Shopify dashboard. After you select WC Fulfillment App, click on the “Create Product” button. You will be directed to the products’ page, select the product you want to sell. Now upload the ready design that you have, taking into consideration the dimensions and the extension of the design file. On the same page, fill in the title and the description of the product. You can keep the standard text the same or you can modify on it. Also, on the same page, fill in the prices you want to sell the product at, and then choose the collection where you want the product to be in your store. And then, click the “Publish to store” button. And that’s how easy it is to use WC Fulfillment to add custom design products to your Shopify store. Once you receive an order, you can find it in the “Orders” tab in the main menu of the WC Fulfillment App, where you can request WC Fulfillment to fulfill and ship the ordered product to the address of your customer, which will be automatically transferred to WC Fulfillment. WC Fulfillment is a great POD company, and the one that I like the most. They have the rating of 4.8 stars on the Shopify App Store and they are in the top 5 POD Apps there. But even though they offer a unique selection of products with good quality and at low prices, you might still need to sell more products, even on the same store, such as Apparel, Accessories, Kitchen and Home items, …etc. Therefore, I will suggest the best three reliable alternatives to WC Fulfillment that provide a wide range of quality unique products. 1 – Printful: Sells Men’s and Women’s apparel such as: hoodies, t-shirts, tank tops, leggings, dresses, skirts, swimsuits, …etc. Also Kids’ Apparel, Home & Living items such as: wall art posters, pillow cases, mugs, …etc., Accessories such as: hats, different kinds of bags, phone cases, …etc. You can read more about them in my Detailed Printful Review. 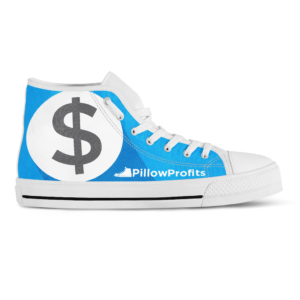 2 – Pillow Profits: Another great print on demand company with many products similar to Printful and other unique products. Their app costs $29.99/month in addition to the products costs. The first 30 days are a free trial. They provide you with +10,000 designs that you can use for free. Free shipping worldwide and express shipping is available as an upsell. This company provides many unique products such as Bed Covers, Sneakers, Flip-Flops, Car Seat Covers, …etc. In addition to the T-shirts, tops, …etc. Check my Pillow Profits Fulfillment Review Here for more details! 3 – ShineOn Jewelry Fulfillment: High quality and unique jewelry items at low prices that can be sold at a high margin. Made by moms in USA, which means great quality and fast shipping at low prices. You get more details about it in my detailed ShineOn Jewelry Review. Price: Free to install the App. Prices apply to the products differently. Also, shipping costs apply (Free Express Shipping on some items). WC Fulfillment is definitely one of the best companies in this field. The fact that they made it to the top 5 POD companies in the Shopify store within less than one year with the overall rating of 4.8 stars means that they are serious about their business and they are here to stay. A nice selection of unique products at low prices and lots of resources that would help your business as mentioned earlier. 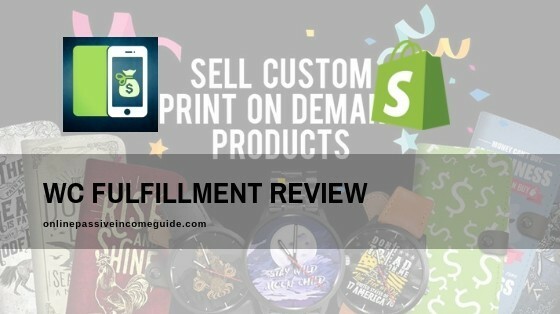 If you like this WC Fulfillment review, then go ahead and create your account for free and follow the steps I mentioned in the “How To Connect WC Fulfillment To Shopify Stores And How It Works” section above in order to create your first product now!